Developing Telecoms recently spoke with Mr Wang Qingwen, President of Huawei WTTx product line, about Huawei’s new Wireless Fiber. What are the needs that Wireless Fiber addresses? Wireless Fiber aims to provide a fibre-like experience at an affordable price in emerging markets. Despite the best efforts of governments, operators and suppliers over many years, less than half of the world’s population (48%) is connected to the Internet according to the ITU. In the whole of Africa the national broadband penetration rate is lower than 10%. In 2018, the UN’s Broadband Commission defined targets for “connecting the other half” by 2025. The WTTx Wireless Fibre solution addresses the need to connect billions of low income households which are currently unconnected, as well as the need to upgrade over 100 million households globally from low speed DSL to high speed broadband services. Can’t this be achieved more effectively with Traditional Fibre Broadband? High cabling costs are a key factor limiting the spread of traditional fixed broadband technologies. Technically, fibre is not easy to deploy on an economic basis, particularly in mountainous areas and the countryside which increases the cost. Moreover, the business model which traditionally underpins fibre, where the overall cost of the connection is shared equally by every household which is connected to the network, has been taken from developed countries and does not work at all well for emerging markets. This is because there is a much wider variation between the connection speeds needed and the ability to pay in emerging markets. A majority of users need and can afford to pay for only small amounts of data and moderate speeds. Only a small minority of users are able to pay for and need high speed connections. Wireless solutions provide the core connectivity in all emerging markets. Wireless networks are naturally characterised by wide coverage and LTE networks have achieved a population coverage of more than 90% in most countries. Deploying a Wireless Fiber solution on an existing LTE network can therefore greatly improve broadband coverage affordably. Is Wireless Fiber a New Solution? Wireless Fiber is an enhanced WTTx solution, specifically developed for emerging markets, and launched in 2018. Since Huawei first introduced the WTTx solution (also known as fixed wireless access, FWA) to the industry three years ago, this solution has developed rapidly in the mobile market. It is also widely regarded as the foundation 5G service that will most likely be put to commercial use first. In emerging markets such as South Africa, Philippines, Sri Lanka, and India, most new broadband users are wireless broadband users due to the prohibitive cost barriers associated with fixed wireline connectivity. In developed countries such as Japan, New Zealand, Germany, and Finland, WTTx is also a major driving force to home broadband (HBB) growth, connecting the unconnected, augmenting existing wired connections or to provide high quality complementary broadband services. What are the Key Elements of Wireless Fiber? First there is an advanced 4.5G network. With the introduction 5G technology into 4G networks, such as Massive MIMO and other multi-antenna technology, the 4.5G network can achieve three to five times capacity gain. Second is high-performance CPE. Based on our own chipset, Huawei CPE can easily support the latest protocols and achieve high performance. To address differing requirements and levels of market demand we have a range of CPE to keep the CPL (Cost per Line) as low as possible for each situation. CPE is remotely upgradable as these needs change. With an innovative outdoor design, Huawei CPE simplifies deployment and improves network performance. Finally there is the WTTx suite business operation platform. This is a unique solution that simplifies the fulfilment of Wireless Fiber services from delivery to network and operation in one platform. The suite includes order and activation, inventory, service desk, fault management, performance, test and diagnoses of the top eight management processes. What are the main advantages of Huawei Wireless Fiber? Wireless Fiber benefits from a construction saving design which reduces engineering complexity and construction costs and makes the CPE plug-and-play. The outdoor CPE (B2368) is the first solution with 360-degree adaptive omni-directional high-gain antenna design, which automatically performs network adjustment to optimize signal strength. With a traditional fibre network it is necessary for an engineer to visit the home for installation and configuration, which requires a lot of professional staff. For operators this is a big advantage as it reduces the need for engineers to perform site visits and all the associated costs, including training. Huawei Massive MIMO and Outdoor CPEs increase system capacity by 3-5 times over normal mobile scenarios; equivalent to a 3-5x reduction in cost per bit. AI based MU-MIMO Pairing algorithm boosts network capacity by 10%-20%. Huawei Robust Chipset (Balong 750/Balong 765), Smart Antenna (4R, 8R), RAN and CPE Cooperation Algorithm SRS Transmit Alternative Boosts Network 2x-3x Capacity. Huawei’s newest advanced CPE (B3368) supports the unique 8-antenna, and technology such as 8*8 MIMO, 4CC CA,256QAM, driving network capacity and efficiency. Lastly, Wireless Fiber offers ultra-distance coverage. The Huawei outdoor CPE (B2366) has a max 10dBi high gain antenna with a coverage radius of more than 10KM. Where has Wireless Fiber been deployed? Wireless Fiber has been deployed on over 180 networks, including Softbank in Japan, Globe in the Philippines, Dialog in Sri Lanka, Telkom in South Africa, and T-Mobile in the Czech Republic. Wireless Fiber is currently serving over 40 million households. One of the best examples is Philippines Globe. The Philippines has a GDP per capita of under US$3,000 and more than 22M unconnected households. Globe introduced a plug-and-play home broadband service for their prepaid and postpaid services focusing on an enriched quality experience and affordability. In one year the pre-paid product achieved more than 300K users. The Prepaid Home WiFi device and plan is available online and in popular retail outlets like 7-eleven and Ministop. Wireless Fiber helped Globe to provide 910K households with connections and increased home broadband penetration from 12% to 17% since being launched in 2013. Another example is Dialog in Sri Lanka. Sri Lanka has a population of 21.4 million and around 5 million households. Home broadband was considered a luxury limited to the affluent few, and in 2013 penetration stood at less than 9%. With the help of Wireless Fiber solution Dialog has increased home broadband penetration ratio from 9% to 25% and let 0.8 million households bridge the digital divide. During the period 2013-2018, Dialog’s Wireless Fiber solution accounted for a 50% share of the net additions in home broadband. The minimum package of Rs600 ($3.70) per month for 8GB is highly affordable and has driven adoption up by more than 25% as of June 2018. 40% of connections are on Wireless Fiber. Does Wireless Fiber Require Support from Governments? 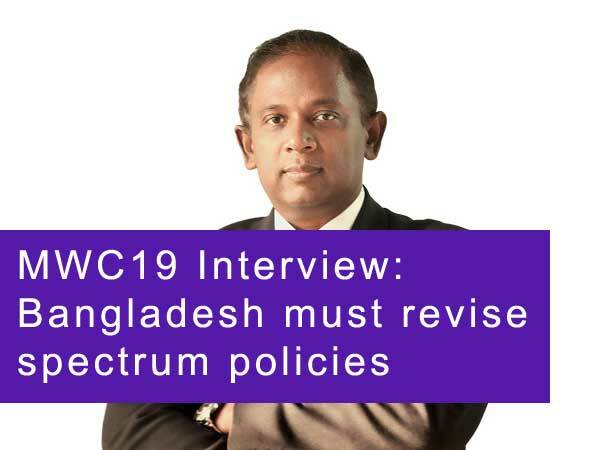 The support of government regulators is very important to connect the unconnected, particularly with regards to making spectrum available. Huawei’s experience in this regard has been very positive both in the Philippines and in Sri Lanka and in other countries like South Africa, where the operators developing Wireless Fiber networks have worked closely with regulators. What kind of Savings can Operators expect to make? Wireless Fiber delivers a highly competitive end-to-end cost for operators of between US$100-$400 per line, compared to traditional fibre cost $500-$1,000 per line. This is achieved through construction cost savings, reduced cost per bit of 3-5 times, greatly extended network coverage areas reaching more potential customers, and reduced time to market. As a result, operators are able to pass savings to their end users. For example, Globe and Dialog deliver services with an average price of $5-$10 per month and for pre-pay users at less than $2 per month. Wireless Fiber is a game-changing solution, the first to address the digital divide at scale.